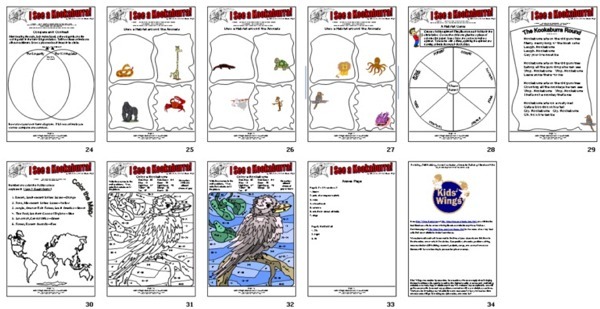 Download Five Kids Wings Rain Forest and Wild Animal Units: A Rain Forest ABC along with Jungle Drums by Graeham Base, I Wanna Iguana by David Catrow, Starry Safari by Linda Ashman, and I See A Kookaburra by Steve Jenkins and Robin Page--all five units with over 80 pages of fun and skills for only $14.95! Sharable within your school!. Click Here. Hop in your Jeep! Beep! Beep! Beep! We're going on a Starry Safari! A rhino will chase you! An alligator will try to eat you! A lion will crash through your tent! It will be scary, but you are brave! 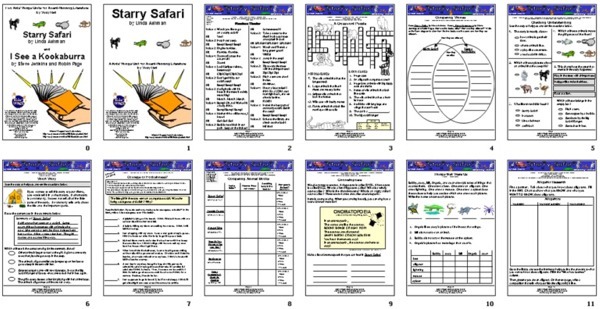 Written in wonderful rhyme, this bedtime safari will make you cheer! You'll even want to read along with the onomatopoeia! 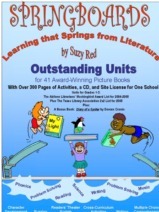 Starry Safari is one of the 41 Terrific Literature Guides for Award-Winning Picture Books and Easy Chapter Books in our Springboards Collection. It has 550 worksheet-formatted pages and is keyed into essential objectives! 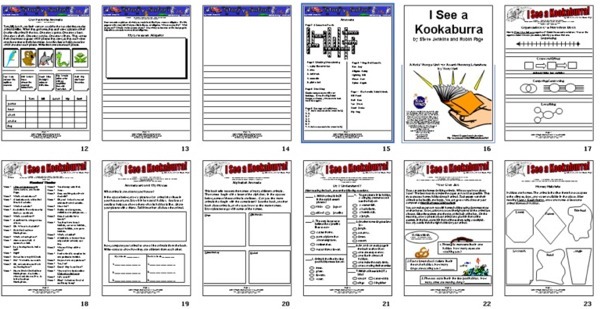 Use for lesson planning or duplicating. On Sale for only $20.00 in Download!